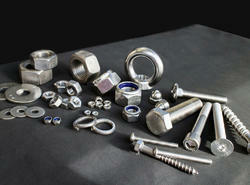 We offer a comprehensive range of Industrial Fasteners. 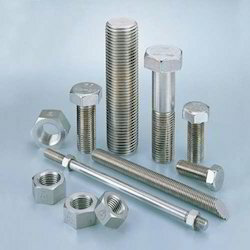 We are amongst the prominent manufacturers and exporters of quality fasteners that are available in different sizes. Our range of industrial fasteners are available in different designs such as industrial screws & washers, and stainless screws & washers. These are known for excellent strength, perfect finish, corrosion resistance, and high tolerance. We also customize these fasteners based on different application usages and client’s requirements. Backed by rich industry experience and expertise, we have been able to manufacture, supply, export, distribute and import a wide range of Industrial Bolts. 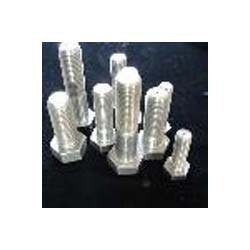 Having wide industry applications, these bolts are designed in different sizes, designs and specifications as per the variegated needs of customers. 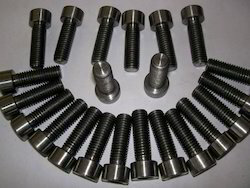 Appreciated in the global market for excellent finish and high tolerance, these bolts are widely demanded. Price Range may vary from Rs 200-3000 per Piece . 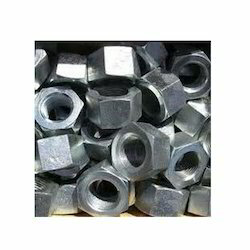 Our organization is well-known in the market as one of the leading manufacturers, suppliers, exporters, distributors and importers of Industrial Nuts. Optimum-grade raw material like stainless steel, duplex steel, titanium, monel, inconel, hastelloy and nickel alloy are used in the manufacturing process of these products. Dimensional accuracy, durability and corrosion resistance are some of the features of these products. Owing to our state-of-the-art infrastructure unit, we have been able to manufacture, supply, export, distribute and import a wide range of Nickel Alloy Fasteners Bolts. 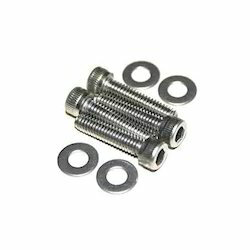 Seamless in finish, these bolts are manufactured using quality-approved raw material like alloy and nickel that is obtained from accredited vendors of the industry. With the help of well-knitted distribution network, we are able to dispatch these products to the clients' end on-time. Price Range may vary from Rs 500-30000 per Piece .